This is part of a series on software-outreach. This is part 2 in our Software Outreach series -- and I wanted to note that a lot of things we're doing in software contributor outreach at Public Lab also apply to outreach more broadly across Public Lab. These topics may seem obvious to some people. But if you poke around the open source world (and the world at large, sadly), they really really aren't. I've seen some terrible things said on public mailing lists, and I'm proud of being part of a community that doesn't allow that kind of behavior. I'm especially proud to be part of a community that is actively nice to one another. Whenever I'm feeling impatient, annoyed, or just didn't eat my oatmeal that morning, I try to remember this and to put my best foot forward. We are coming together with an intent to care for ourselves and one another. We want to nurture a compassionate democratic culture where responsibility is shared. We -- visitors, community members, community moderators, staff, organizers, sponsors, and all others -- hold ourselves accountable to the same values regardless of position or experience. For this to work for everybody, individual decisions will not be allowed to run counter to the welfare of other people. This community aspires to be a respectful place both during online and in-person interactions so that all people are able to fully participate with their dignity intact. This document is a piece of the culture we're creating. Codes of Conduct directly address the fact that without being assured of being treated respectfully, we cannot expect people to join in, let alone collaborate. They are also an acknowledgement that incidents of poor conduct disproportionally affect those who are already structurally excluded or marginalized, and that affirming -- and working to achieve -- a harassment-free environment is a prerequisite to an inclusive space. I was impressed in 2015 by the Hoodie project's placement of their Code of Conduct up front and center on Slide 2 of their presentation at a BostonJS meeting. Codes of conduct are now standard in many (but not all!) 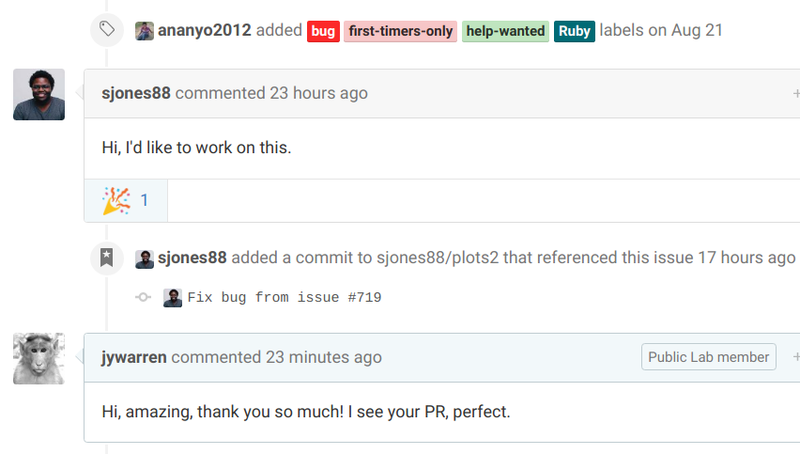 open source communities, with GitHub even prompting all projects to include one in their project code. Trumpet your Code of Conduct! It speaks volumes to people. At the recent Google Summer of Code Mentor Summit, there was a lot of discussion (led by the amazing folks at Systers) of conduct, but also of questions of tone -- and one person mentioned that they have heard people try to excuse unpleasant tone (or worse!) if the guilty party is "technically excellent" -- how utterly awful! If someone is not able to conduct themselves with basic respect, they are simply not welcome in our community, and to be honest, we shouldn't be surprised if they aren't good at collaborating with others. Ensuring that people will be treated respectfully shouldn't have been such a high bar, and we're seeing more and more communities recognize that this should be a basic right and expectation for anyone. But we can do more! It's extra important to be welcoming and friendly -- it's hard to imagine how you could overdo this. Hoodie writes a lot about their "rolling out the red carpet for newcomers", and they're a real model for us. At the GSoC summit, in one session, during a discussion about friendly tone, one person noted that they were often a bit afraid to email the community list for their project because some people could be abrasive -- and they were actually one of the maintainer/leaders of the project! That isn't right -- and just think what a newcomer to the project must feel if that's the tone of community discussions. We take every opportunity to thank people -- you can't be too nice! -- and one thing that really helps is: emoji. No kidding -- use them! Learn them! Hoodie does this really well (and so does their "first timer bot". I particularly like the "red balloon" one for expressing appreciation. Get out there and make sure people know they're welcome! They're not clairvoyant -- you need to put some work into it! I was going to write more about First Timers Only -- but there's so much to say about it that I'm going to save it for its own post. Stay tuned, and remember: broadening participation in your project -- especially from groups who are often excluded -- will make your project stronger -- as well as for inclusivity for its own sake!